Johannesburg is a relatively new city. 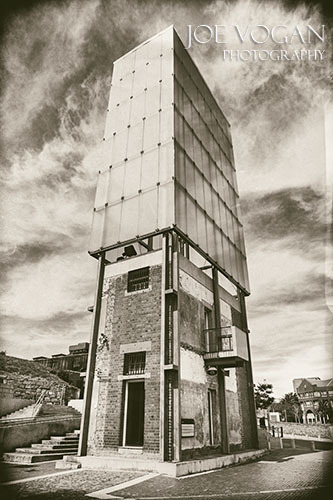 Though In central Johannesburg, one of the oldest structures, the Old Fort, was built at the end of the 19th century. 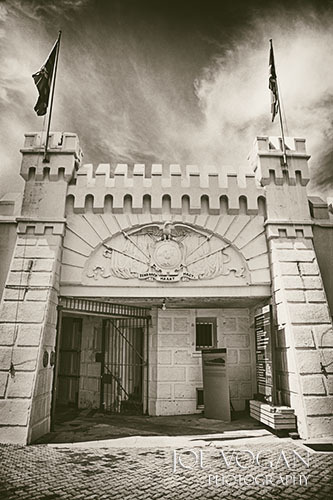 For most of its life, until it closed in 1983, the grounds served as a prison. 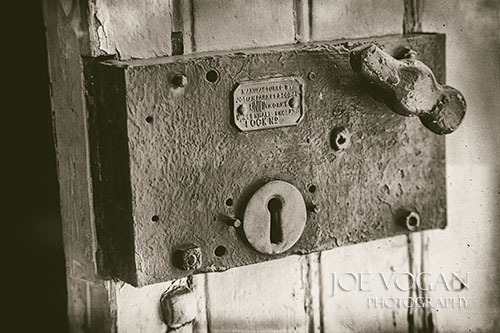 First as a place to confine war prisoners, then gradually to a more ominous history during the apartheid period. It was a place where both Mahatma Gandhi and later Nelson Mandela were held. Today, it’s preserved as a museum and you can walk in the formerly overcrowded cells, including Mandela’s. The entrance to Number 4. 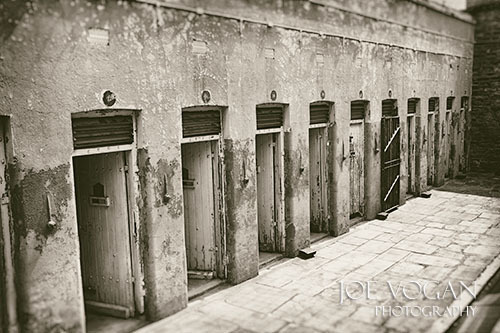 The original fort section of the prison was where the white population was confined, with the one exception being Mandela, who also was kept here due to fears he would have help escaping the black section of the prison. Through the years, other sections were added, including a woman’s section. 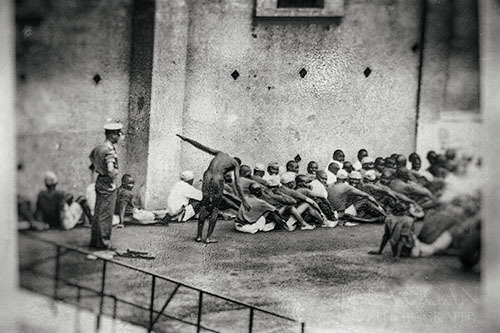 Political prisoners having committed such simple “crimes” as interracial marriage or violating segregation rules filled the prison in the second half of the century. A photo of one of the courtyard activities. 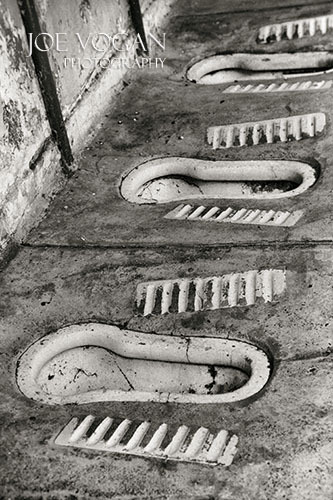 The toilet area in Cell Block #4 where the black prisoners were held. The door to Nelson Mandela’s cell. 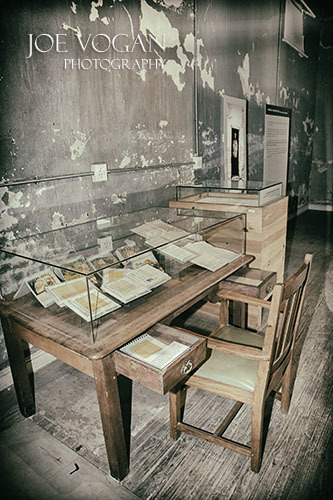 Calendars and writings of Nelson Mandela from inside his cell. 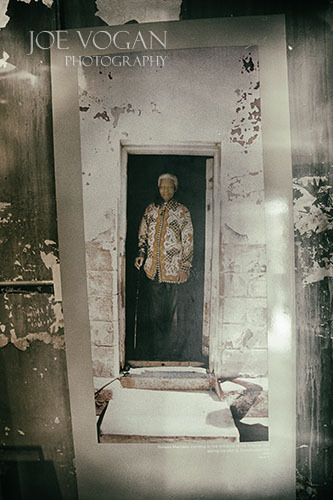 A photo of Nelson Mandela standing in the doorway of his old cell during a return visit. As mounting violence and negotiations increased in the early 1990s, the apartheid system was phased out with multi-racial elections held in 1994. 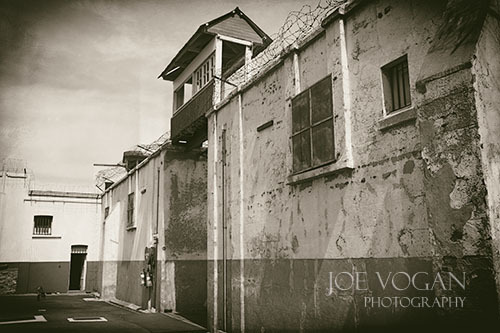 This entry was posted in International Travel and tagged apartheid, Gandhi, history, Johannesburg, museum, Nelson Mandela, prison, South Africa by Joe Vogan. Bookmark the permalink.